Located in the Dawley Farm Retail development, at the crossroads of SD Highways 100 and 42 and minutes from Interstate 229 and 90. 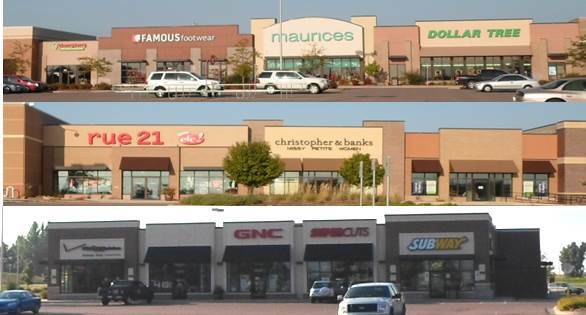 Tenants include: Avera, Subway, Cherry Berry, Supercuts, Cellular Only, Kidtopia, Dollar Tree, Rue 21, GNC, Maurices, CJ Banks, & Famous Footwear. This property is owned in-part by the Dakota Real Estate Income Fund, II.